Large silver cone with a pink/purple Swarovski Crystal. 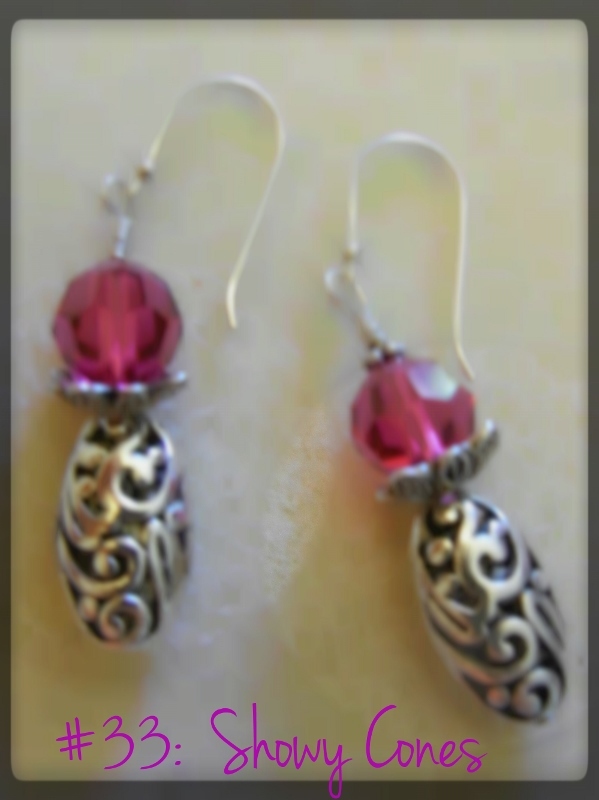 Sterling Silver earwires. Length is 1-7/8".